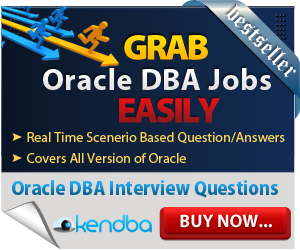 Why ORA-00600 errors are irritating Oracle DBA Specialists? The database is a always about new entries in the database, retrieving results from the tables, updating them and appending the tables. All these actions on the database make it vulnerable to bugs and errors. Of all the errors that a DBA faces in his/her career, ORA-600 is one of the most irritating ones. It's the most talked about error in the field of Oracle databases. Generally speaking ORA-00600 error is an internal error that is generated by the kernel of the Oracle's Relational Database Management System software. The causes of the ORA-600 error can be numerous. The biggest issue with this error is that it may or may not be shown on the screen. Therefore one cannot rely on the screen to show the error, if it has occurred or not. One can always check for the ORA-00600 error in the trace files. As every ORA-00600 error generates a trace file. The information is also logged in the alert logs. Thus to keep a close check on this error, one has to keep a close track of the log and trace files. Another issue with ORA-00600 is that it is generally generated along with arguments which are enclosed in square brackets. Now, the situation becomes more critical because the meaning of these arguments changes with the versions of the database. So ORA-00600 error will be occurring different for different versions of the database. 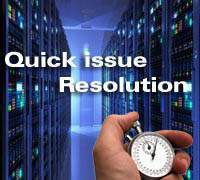 Thus it is very complicated for a database administrator to check the reason for the error. The trace files and the log files generated become large in number when there are multiple occurrences of the ORA-00600 error. The ORA-00600 error can be evolved because of various reasons. Of all the reasons discovered the most common are time-outs and file corruption. There are many more reasons of the occurrence of ORA-00600 error. The ORA-00600 error occur due to failure of data checks in the memory, failure of data checks in the hardware, failure of data checks in the input/output messages. The ORA-00600 can also occur if the files are not restored correctly into the database after a failure or a crash. In order to fix the ORA-00600 error, irrespective of the cause of its occurrence, it's always recommended that you contact oracle support. The very first fact that has to be kept in mind is that whenever you get ORA-00600 error in the trace or log file then never try to resolve it by yourself. You can get into a bigger issue. Always contact Oracle support for it. When you contact Oracle with ORA-00600 error, then the Oracle support people will ask for the log and trace files of the error. You will be asked for the operation which led to this error. This will be the toughest part to answer as the error might have occurred before and or would have noted it afterwards. The Oracle support will also ask for the condition of the database and the operating system at the time of error. You should also be ready with the consequences of the ORA-00600 error. You shall also be asked to send the various trace and log files related to the error, which is in it a long and tedious job. 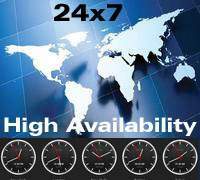 In some instances even Oracle might not be able to help you and there may be no workaround. All you need to do is sit with the bug, or delete the cause of the bug. At sometimes a patch is available as a solution to the ORA-00600 error, sometimes it is not. 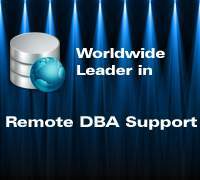 The scenario does not depend on the DBA but on the Oracle support. Their reaction should be held as final; as if you try to disturb the database then you might end up messing up with the database. 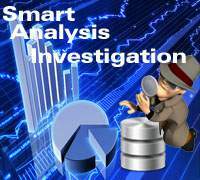 Database Monitoring is essential to eliminate ORA-00600 errors because whenever thrown then immediately, database dba can able to raise service request to Oracle Support for further investigation and resolution. Indeed high expertise is needed to handle this kind of Oracle errors without harming database activity. Only high experienced and expert remote dba experts can able to handle this kind of mysterious ORA errors. 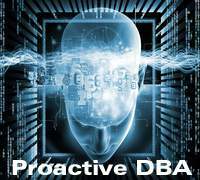 During DBA Services, experts database dba always takes care of disk io for precaution of Oracle tuning and Oracle performance tuning of disk io tuning. 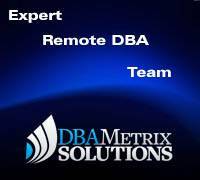 It is best practice in remote database administration.